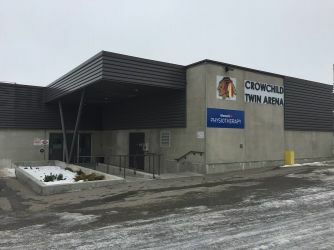 Crowchild Twin Arenas 185 Scenic Acres Drive N.W. 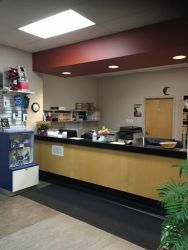 The main entrance of Lifemark Physiotherapy Crowchild Twin Arena faces Nose Hill Drive with ample free parking directly in front of the building. Our entrance is on the main floor without stairs, providing easy accessibility for all of our patients. 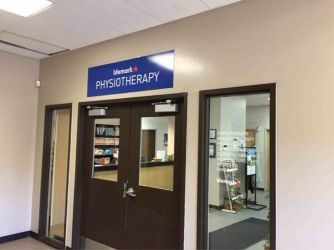 Lifemark Physiotherapy Crowchild Twin Arena is conveniantly located in the community of Scenic Acres to provide physiotherapy and rehab services to our Calgary-area patients. 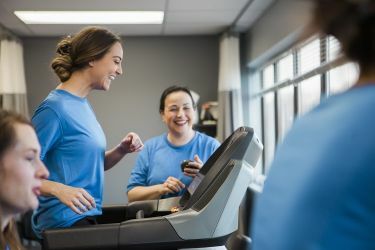 Our registered physiotherapists use a wide variety of treatment techniques including acupuncture and inter muscular stimulation (IMS), manual and manipulative therapy, exercise prescription, various soft tissue release techniques, and modalities. All of our registered physiotherapists and massage therapists are able to bill all extended health care companies. We also have a specialist to provide you with custom bracing and orthotics services. We have many therapists with over ten years of experience and treat a wide variety of both private and third-party patients. We currently have contracts with WCB and are considered a preferred provider for many of the large motor vehicle insurance companies. We are also funded through Alberta Health Services for post-surgical, post-fracture, and low-income patients, as well as RCMP and Veterans’ Affairs. 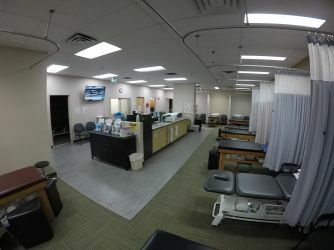 Lifemark Physiotherapy Crowchild Twin Arena is located in the community of Scenic Acres in Calgary and the main access is through the east entrance of the Crowchild Twin Arenas. 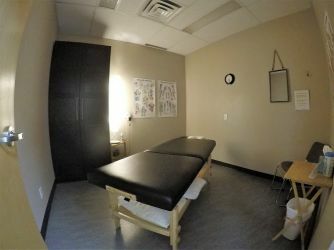 We have ten registered physiotherapists, five registered massage therapists and numerous support staff from physiotherapy aides and kinesiologists, to customer service reps.
We have 5 female therapists that spend one hour, one-on-one in a private room to help assist with issues including bladder, bowel, pelvic pain, prolapse, pre and post natal care and sexual function, etc. 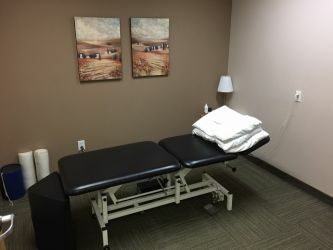 We have 2 therapists that spend one hour, one-on-one in a private room to help assist our male patients with bladder, bowel, pelvic pain, prostate, etc. Helping patients recover from dizziness and/or balance disorders. All our vestibular therapists can also help with recovery from symptoms related to concussions. 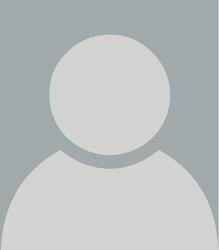 Specially designed treatment and exercises programs specifically for people with osteoporosis. We have an onsite Orthotist who specializes in custom bracing and orthotics, with senior’s coverage through some government agencies. Our custom orthotics (orthopedic insoles) are developed with assessment of your lower extremities, gait analysis, and footwear evaluation, and can be used to relieve pain in the foot, knee, leg, and low back. Orthotics can also treat orthopaedic injuries, re-align anatomical structures, and improve your balance. We have a large selection of rehab supplies including bracing, rollers, theraband, balls, TENS machines and small exercise equipment to assist with your recover. Braces can be custom-fitted or pre-fab, and can be used for injury prevention or recovery. Bracing can protect, stabilize, and even address abnormal joint alignment.